Units should consist of about 125 men. May be infantry, mounted infantry, or cavalry. In view of numbers already available, infantry most, cavalry least, serviceable. All should be armed with .303 rifles or carbines, which can be supplied by Imperial Government if necessary. All must provide own equipment, and mounted troops their own horses. Not more than one captain and three subalterns to each unit. Where more than one from single colony force may be commanded by officer not higher than Major. In considering number which can be employed, the Secretary of State for War, guided by nature of officers, desires that each colony should be fairly represented and limits are necessary if force is to be fully utilised. Available staff is integral portion of Imperial forces. Would gladly accept two units each from New South Wales and Victoria, and one from South Australia. Troops to be disembarked at port of landing in South Africa, fully equipped, at cost of colonial Governments or volunteers. From date of disembarkation, Imperial Government will provide pay at Imperial rates, supplies and ammunition, and will defray expenses of transport back to the colony, and pay wound expenses and compassionate allowances at Imperial rates. Troops to embark not later than 31st October, proceeding direct to Capetown for orders. Use the links below to view information on contingents organised State-by-State. These lists are relatively comprehensive. Any input from visitors with knowledge of Australian involvement in the war is welcomed. 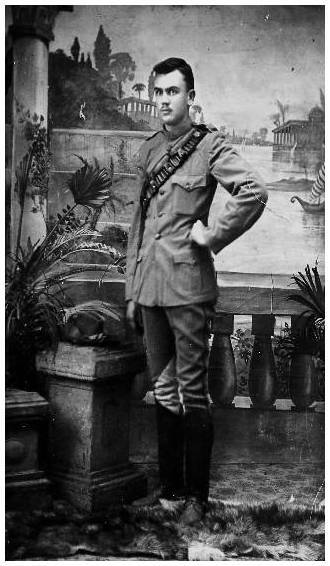 It was rather the fashion for Australian soldiers to visit professional studios to have their photograph taken prior to embarkation for active duty. 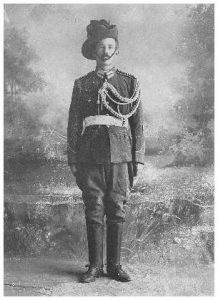 Below are some portraits typical of the South African War era. If you can identify these men, please contact me. 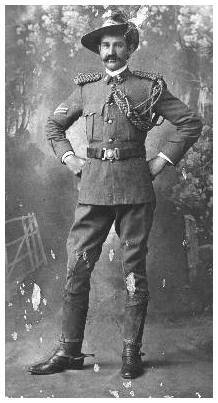 * The Australian Regiment was formed from an amalgamation of the VMR and the SA, WA, TAS Infantry on Dec. 6 1899. *This table excludes awards to troops not serving with Australian units. Denton, Kit. Australians at War: For Queen and Commonwealth. (Sydney: Time Life, 1987). Field, L.M. The Forgotten War: Australian Involvement in the South African Conflict of 1899-1902. (Melbourne: Melbourne University Press, 1979). Walker, Shirley. ‘The Boer War: Paterson, Abbott, Brennan, Miles Franklin and Morant’. Australian Literary Studies 12 (1985), pp. 207-222.